It can be quite challenging to find the ideal drugstore foundation, one that will give you good coverage but is still lightweight and long-lasting. With so many foundations on the market, it can be hard to choose the perfect one for your skin type. Whether you’re looking for full coverage, anti-aging benefits, oil control or cruelty-free products, you will find your perfect match on this best drugstore foundation reviews list. 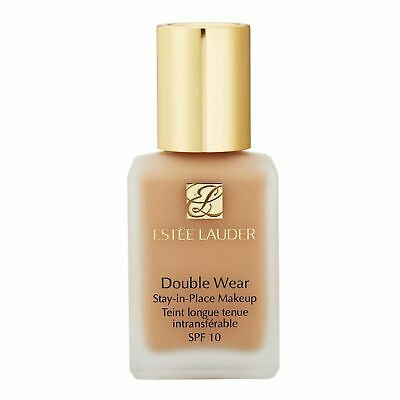 Estee Lauder’s Double Wear Foundation is a fan favorite and has won Allure’s Best Of Beauty award. It is from one of the world’s most respected brands that creates phenomenal products that are luxurious and high quality. This foundation sports a wear time of 24 hours, making it perfect for people who work long days and have trouble finding a foundation that can do the same, requiring little or no touchups. The formula can suit a range of different skin types. If you have normal, dry, combination or oily skin type, you can use this product with great results. This is a full coverage foundation with a matte finish. You will likely be able to find your perfect match in their 55 shade option range, with a variety of undertones. This product is one that people seem to return to year after year. It stays in place all day and is transfer resistant. Even those who typically have a hard time finding their color match tend to have success with this line. It stands up to hot environments and especially oily skin. This foundation is buildable in coverage, but the result may be too full coverage for those looking for a natural finish. Vichy is the number one brand for anti-aging products in European pharmacies. This lightweight product is loved by people in Europe as well as America. Allergy tested, fragrance-free and ophthalmologist tested, this foundation sinks into the skin to give a natural finish. Vichy’s products use volcano water from France to include extra minerals the skin loves. Although it has a natural finish, this product has twice the pigmentation of a drugstore foundation. This helps it to be able to cover acne scars, uneven pigmentation, and redness with even a small amount of product. The Dermafinish foundation includes UVA and UVB protection with an SPF of 30. Most users are blown away by this product. It does not irritate acne-prone skin, yet also makes mature skin look younger. Some people have replaced their expensive counter foundation by using this instead. It lasts a minimum of 12 hours as well. Unfortunately, this product only comes in five shades, which might make it tricky to find your exact match. 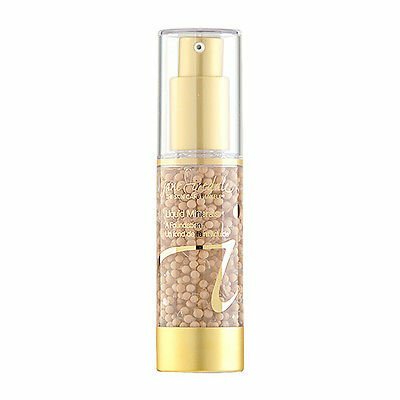 The Jane Iredale brand is a line of mineral makeup with natural ingredients. 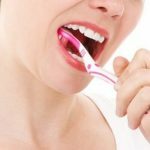 Its products are aimed to help the health of their customers. Rather than being a traditional foundation, this is a serum that contains pigments. This allows it to provide extra hydration you don’t normally have in foundations, which diminish the appearance of fine lines and wrinkles. This serum foundation allows for sheer to medium coverage, but also minimizes the look of pores, evens out the skin tone and has minimal transference. This formula helps to soothe and protect the skin by using castor seed oil, vitamin E and beeswax, which reduces bacteria. It also contains algae, white tea leaf extract, and aloe vera. This product will give you your-skin-but-better results. It works superbly with dry and aging skin, and you can rest easy at night knowing the ingredients are good for you. If you are looking for full coverage or have oily skin, this product may not be the best for you. This foundation is one of Clinique’s top-selling products. It is intended to even and correct the skin and is recommended for casual wear. This foundation is excellent for those whose skin is somewhat close to a normal skin type. This is a moderate coverage foundation. It works for combo-dry skin types and combination-oily skin. It’s also water resistant and stands up to sweat and humidity. Rather than simply cover the skin, this foundation seeks to improve discolorations over time. It does this by including vitamin C and antioxidants into the formula to help heal age spots, acne scars, and other discolorations. This foundation was developed by dermatologists. It has no parabens, no phthalates, and no fragrance. 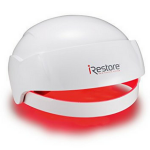 Even extremely sensitive skin users can happily wear this product. This is a foundation people come back to over and over again, especially if they have an important occasion coming up. It comes in 56 shades and is a godsend for those who are very pale and typically have trouble finding their shade match. It also has SPF 15, which helps prevent future discolorations. It is not extremely long lasting, though. You may need to touch up with powder after a few hours. This product is unlike any other typical foundation. It has been specifically made for those who want to cover sensitive skin that has been compromised by aesthetic procedures or burns. 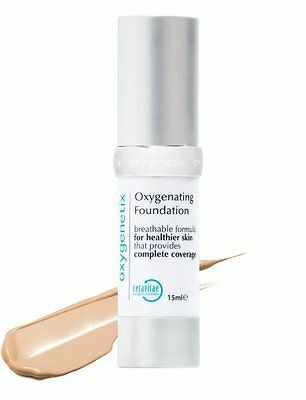 This Oxygenating Foundation for use by plastic surgeons, dermatologists, and other medical professionals. The long-lasting formula will stay on even at the gym or taking a quick swim. Its goal is to oxygenate and function as a second skin. The ingredients are safe for use on medically compromised skin. It contains soothing ingredients such as aloe vera leaf juice and contains vitamin E to promote healing of the skin. It is free from occlusive oils, water, fragrance, and preservatives. Two percent salicylic acid helps to control acne and clear blemishes quickly. This way it both conceals and treats the acne over time. Many users picked this product up at the suggestion of their dermatologist, and they love the safe ingredients. This foundation has a light and healthy appearance on the skin and lasts a long time. It also has SPF 25 in the ingredients to additionally protect the skin. There seems to be a flaw with the pump dispenser where it stops working for some people. This is a hit product for those with more mature skin. 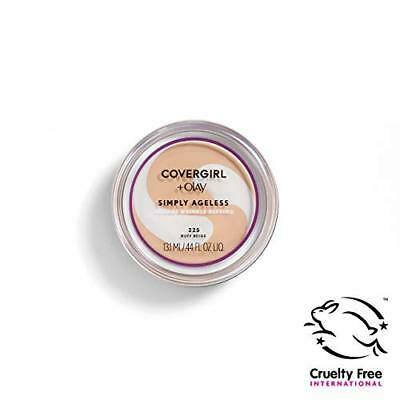 Both Covergirl and Olay brought the best of what they know into this product. In their words, it’s a case of beauty meeting science. This foundation is unique because it floats over fine lines and wrinkles rather than sinking into them. The result is smoother, flawless, and airbrushed-looking skin. Olay contributed their expertise to have this foundation hydrate the skin over time. It is formulated with vitamin B3 to improve the skin’s moisture barrier with extended use. This buildable coverage foundation maintains a fresh, natural finish that never looks heavy or cakey. The cruelty-free formula blurs imperfections with light reflection. This was awarded the #1 anti-aging foundation according to P&G in 2015. 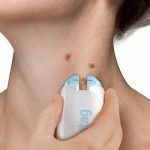 Users love how smooth it makes their skin look and how their wrinkles are camouflaged. It also contains SPF 28, which helps to prevent future wrinkles. A few people experienced the opposite of the intended effect and claimed it made their face look more textured. 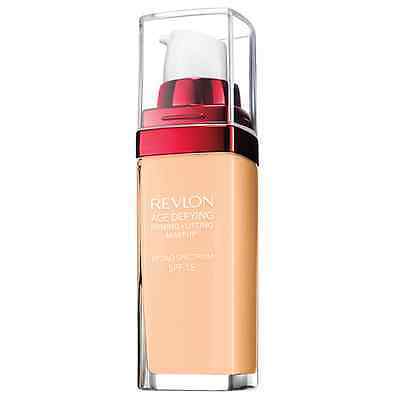 This age-defying foundation from Revlon contains many age preventative benefits. From using this foundation, 93% of women saw noticeably improved skin after eight weeks. This product firms and lifts the skin to give the look of younger skin. It contains a smoothing serum to achieve this effect and hydrates by the use of hyaluronic acid. The finish of this makeup is a radiant appearance. Part of its Tri-Shield Technology includes a radiant finish primer. This helps the makeup to last longer and give a healthy shine without being affected by the oils of the skin. Another anti-aging prevention method this product uses is including sunscreen in the formula. Be sure to apply the foundation 15 minutes before sun exposure to get the full effect. Many women love the full coverage aspect of this foundation. It covers what they want to be covered while still feeling lightweight. A little goes a long way and lasts all day long. People love the natural skin colors this is available in, but some people may have trouble finding their shade match as there are only 12 shades. This foundation is made by the brand BaeBlue and is made in the USA. 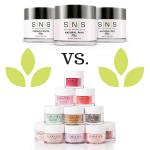 Their goal is to have zero harsh chemicals, preservatives, parabens or pore-clogging ingredients in their product. This foundation does not contain any animal products, making it vegan as well as cruelty-free. Vegan foundation often does not perform as well as traditional makeup, but this formula receives high praise. This product is not only natural but also organic. It has no harsh chemicals, preservatives or parabens. It also contains no propylene glycol, artificial fragrances, talc, phthalates, petroleum, Dimethicone, silicones or mineral oil. Because this product is so natural, it is very gentle to even the most sensitive skin. The base of this foundation is aloe vera, which is a very healing and soothing ingredient. 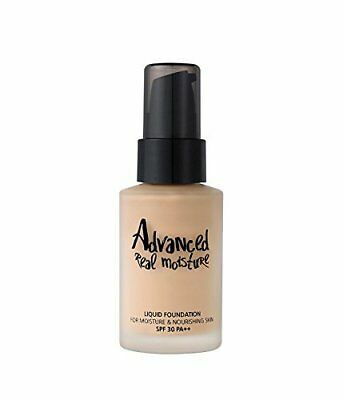 Users love the look of this foundation, and many say it looks like they aren’t wearing makeup at all. It covers imperfections and leaves the skin silky and smooth with its anti-aging properties. If you are unsure of what shade to choose, they offer samples to try, or you can submit a photo of yourself to them, and they will match you with one of their 11 shades. This may be a good idea to do because some people found the color they ordered to be a little lighter or darker than expected. Touch in SOL is aiming for flawlessness with this lightweight foundation. It is considered to be one of the most recommended foundations by professional Korean makeup artists. This foundation helps to control sebum production. It has a powder complex to help absorb oils that may surface throughout the day. This product has high coverage. Beyond that, it can withstand multiple layers while still maintaining a natural appearance. This foundation is recommended for dry skin types. It has a moisture complex that includes ingredients such as sodium hyaluronate, which is similar to hyaluronic acid. This formula works well with dry, aging skin. It masks fine lines and does not cause creasing or separation. Its formula is free from parabens, ethanol, mineral oils, tar based pigments or any animal ingredients. Many people ran to find this after using a sample and loving it so much. However, as a Korean product, it is only available it two fairly light shades. The most highly recommended foundation from this list is the Vichy Dermafinish Liquid Foundation. With twice the pigmentation of normal foundations, it covers what you would like to be concealed but still remains natural looking. Sensitive skin is not irritated by this product, and mature skin looks younger with use. It will last all day, contains sunscreen and has extra minerals due to its water coming from volcanoes. How Do You Know What Skin Tone You Are? Your skin tone is also called your undertone. It stays the same even if your complexion becomes lighter or darker. The three undertones are cool, warm and neutral. To find yours, look at the veins on the inside of your wrist in natural sunlight. Warm tones have green veins, cool tones have blue or purple veins, and if you have a combination of green or blue veins, you have neutral skin tones. If you tan easily, you likely have warm or neutral skin tones. If your skin burns and doesn’t tan, you likely have cool skin tones. What Are the 4 Types of Skin? The four types of skin are normal, dry, oily and combination. Normal skin Is well balanced. It is neither too dry nor too oily. It has fine pores, good blood circulation, and a smooth texture. Dry skin Produces less sebum than normal skin. Without enough sebum, it lacks the lipids it needs to protect against external influences. Dry skin can look rough and feel tight. Heat, stress, and activity that cause perspiration can cause the skin to become even drier. All skin types become dryer as they age. This type of skin has an overproduction of oil. It has a shine to it and often has visible pores. Skin can become overly oily due to hormones, medications, and stress. Oily skin is more prone to blemishes and clogged pores. Is oily in some places and dry in others. Often the T-zone of the face, which is down the center of the face and across the forehead, is oily while the cheeks are dry. 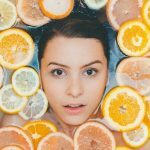 How Can I Know My Skin Type at Home? To determine your skin type at home, wash your face with a mild cleanser, pat dry and leave skin bare without adding moisturizers, serums or treatments. After 30 minutes, check different areas of your face for any shine. In another 30 minutes, check to see if your face feels too dry. Smile or make different facial expressions to check for tightness. If it is, it is likely dry. If there is shine on your nose and forehead, your skin is likely normal or a combination. If there is shine on your cheeks as well, you likely have oily skin. Knowing your skin type is extremely important for choosing the right foundation. You will want a product to match the kind of skin you have. If you have oily skin, you will probably want to choose a mattifying foundation that is long-wearing. Look for foundations that have a more powder-like finish or be sure to set your foundation using your own powder. Dry or aging skin benefits from more luminous foundations. More moisturizing ingredients are preferred to help balance the dry skin condition. If you use a luminous foundation on oily skin, the foundation may slide off your face or may look even more oily. Likewise, a very mattifying foundation on dry skin will likely accentuate dry patches and collect in the lines of the face in an unflattering way. Sometimes harsh ingredients may make a face react. This could result in blemishes, bumps or mild rashes that are not preferable. If your skin often reacts to products, look for foundations that are safe for sensitive skin. This may mean the formula has left out synthetic fragrances or parabens. Look for labels that say the formula is hypoallergenic, dermatologist tested, and non-pore-clogging. Think about how much you are hoping to cover with your foundation. 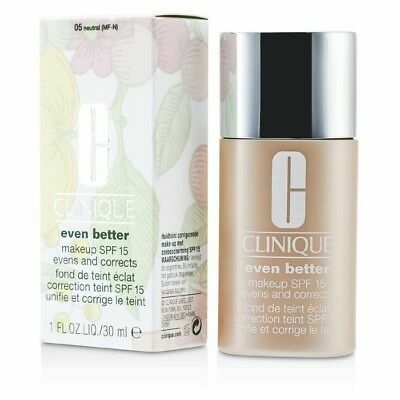 If you are going for a your-skin-but-better effect, then look for sheer or medium coverage foundations. These will slightly even out changes in pigmentation to make them still visible, but less noticeable. You may want to use an additional concealer on top of coverage to mask imperfections further. However, full coverage foundations mask everything for you. 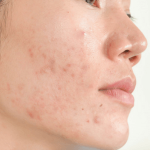 Whether you have a lot of redness or scarring due to acne, hyperpigmentation due to age spots, an especially rosy face due to sensitive skin or a face that’s a different color than your body due to self-tanning, full coverage will likely be your preferred choice. Full coverage doesn’t have to look cakey. Many formulas have a natural finish and are almost undetectable to the average eye. If you are unsure which type you are looking for, try a medium coverage that is also buildable. 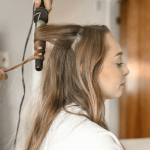 This way, you can use a small amount with a wet sponge to give a sheer effect or continue building up layers to provide more and more coverage. Another way is to try one of each type to see which look you prefer. If you have fine lines and wrinkles, foundations will either help tremendously or make it look much worse. Some formulas are designed to work with these lines while others are aimed for a younger target demographic. Anti-aging formulas are designed to minimize their appearance. Certain formulas are able to do this by including ingredients make the foundation fill or float across the lines of the face. They will not settle or crease into these lines. Sometimes they will contain ingredients such as vitamin C or collagen to help dimish the appearance in the skin itself after extended use. Since the skin becomes dryer as it ages, anti-aging foundations are often moisturizing. They may contain hyaluronic acid and nourishing oils to hydrate the skin and give it a smooth appearance. Sunscreen is also often included to reduce the aging effects of the sun and prevent future wrinkle formation. As we learn more and more about health, concern grows for certain topical ingredients. Some people claim that the body will absorb unfavorable ingredients through the skin and possibly cause a health concern. Others say that this is not possible or that it is too small of an amount to make a difference. Either way, the rise of preference for ingredients to be natural is quickly growing. 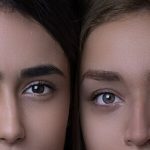 While natural makeup once performed much more poorly than its traditional counterparts, this is not always the case anymore. In recent years, brands have been drastically expanding their shade ranges to accommodate a much wider variety of shades. This is especially helpful for those with medium to dark skin tones. The range between brands is so dramatic that some may only have two shades to choose from while others have 55. If your skin tone is typically hard to match, search for companies that have expanded their ranges. Supporting these efforts will help encourage other brands that have not done so yet to expand their collections as well. I hope you found our Best Drugstore Foundation article useful. Do you have any other questions about any other drugstore foundation brand?